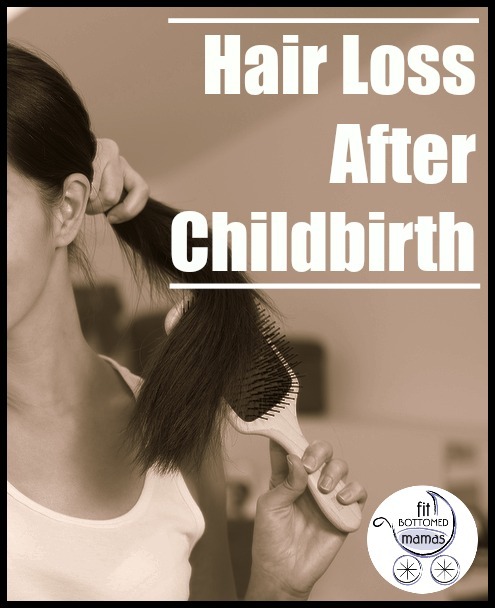 Hair Loss After Childbirth: A Good Reason to Get Bangs? As I’ve said before, pregnancy made my locks thick and luxurious. I don’t think I lost a strand of hair my entire pregnancy. So several months after my daughter was born, I started losing tons of hair. Drain-clogging fistfuls of hair. I was grateful for the slight thinning once it slowed down a bit. My hair started to feel less Fraggle Rock-y and more normal. Until it started to grow back. Now, of course, I’m going through the whole pregnancy-hair process all over again. (And I’m not alone: Actress Selma Blair recently commented on this occurrence!) Eventually, I’ll have a combination of these little buggers still trying to catch up and new little jerks that are passing the point of cute wispyness. I can totally see why women chop all of their hair off once they have a couple of kids. It’s not because they don’t have the time to style longer hair—it’s because they have no hair left and something must be done!